Where can I see my completed tasks and projects? 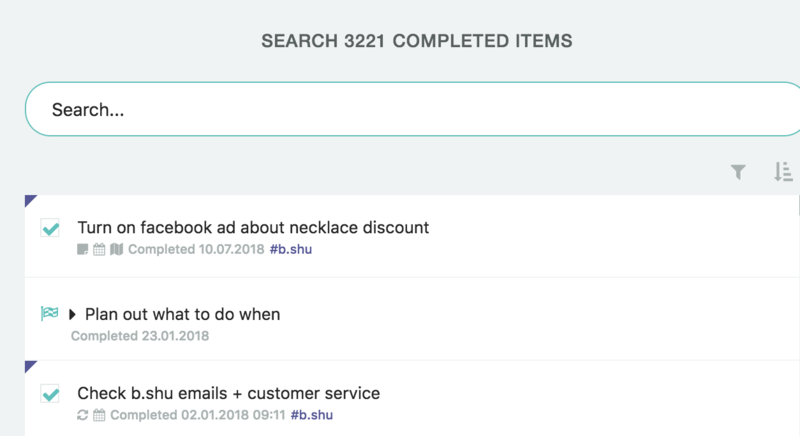 You can see your completed tasks either on the day they were completed or in the archive where you can also search for specific completed tasks. 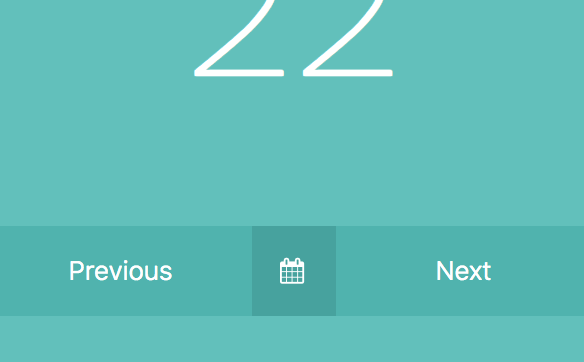 Use the calendar icon in the left sidebar or the buttons to navigate to any day in the past and to see the tasks you completed on that day. The archive is where all your completed tasks are listed. Use the menu at the top right to go to the archive. In the "Archive & Stats" overlay make sure you are on the archive page (top left or use keyboard shortcut "A"). 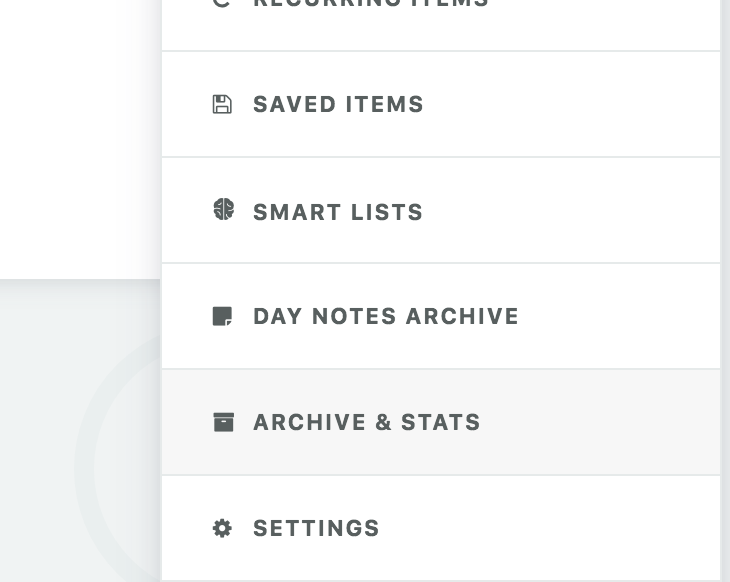 You can search for a completed task or project by going to the archive overlay and clicking the search icon at the top right. In the search dialog you can filter and sort your completed tasks on the top right. Underneath each item in the search you can see when the item was completed.